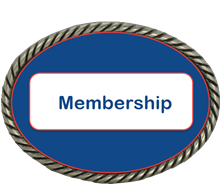 Welcome to the NSPRA! We'll try to answer your questions here, but feel free to call the National Office at 928-684-9566, email us at info@seniorrodeo.com or =>fill out the contact form here<= with any other questions. Q. CAN I JOIN IF I'M ONLY 39? A. So long as you are turning 40 years of age during the calendar year. Q. WHAT EVENTS DO YOU OFFER? Q. HOW MANY RODEOS CAN I ENTER? A. 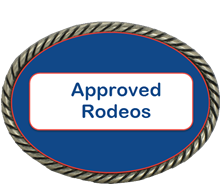 As a member of the NSPRA, you can enter every U.S. rodeo on our schedule and all Co-sanctioned rodeos in Canada. You need to become a member of the CSPRA to be eligable for the Canadian Finals. Call them at 403-875-3242 for membership information or see their website at www.canadaseniorrodeo.com. Q. CAN I ROPE OUT OF MY AGE GROUP? A. In individual events, a contestant has the option to enter his age group and down one age group. In teamed events, the contestant may enter down one age group with the same partner, or may enter down two age groups with an age appropriate partner. In individual events, a contestant can only win a world championship in his appropriate age group. In teamed events, contestants will be allowed to win a world championship in a lower age group if designated before the first rodeo is entered and at least one partner is age appropriate. All Around points accumulate in the contestant's appropriate age group only. Q. CAN I ROPE TWICE IN ONE EVENT? A. You can only rope once in each event at each rodeo. However, you have the option to enter in your age group and down one age group. Q. WHAT IS THE 3D FORMAT IN THE LADIES BARREL RACE EVENT? A. The Ladies Barrel Racing event consists of three age groups: 40-49, 50-59, and 60+. Points will be calculated in each age group regardless of whether or not they have won money. The race will be paid in a 3-D format with 1/2 second splits. Contestants can enter one horse or two horses but cannot run the same horse twice. If two horses are run, both horses will be eligible for the payout, but only one horse will be eligible to be awarded points. Points will be awarded to the top six contestants in each age group (regardless of whether or not they won money) and standings will be kept on these points. Q. WHAT IF I CAN'T ATTEND A RODEO I ENTERED? A. Once you enter a rodeo, you are responsible for your entry fees and office charges. If you need to release from a rodeo, you need to call the release line no later than 3 hours prior to the start of the rodeo. The release line number is 928-684-9566. On the answering machine, leave your name, the rodeo you're releasing from, and the events you want to release. Once you have released, you need to send $20 per rodeo to the National Office. The National Office reimburses the rodeo committee for all of the contestants who release. If you fail to properly release from a rodeo, your entry fees will be included in the payoff and you will be responsible for your entire entry fees and office charges. If you have any doubt how to properly release, please contact the National Office at 928-684-9566. Q. HOW MANY RELEASES DO I GET DURING THE YEAR? A. 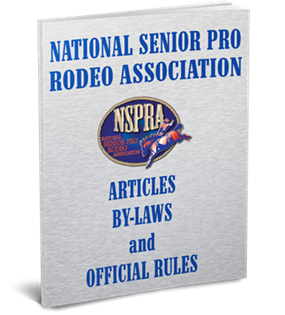 All NSPRA member will be allowed to use up to 4 releases during the course of one rodeo year. By releasing, you will not be responsible to pay entry fees. You will still be responsible for the $20 office charge. Release from one rodeo is using one release. 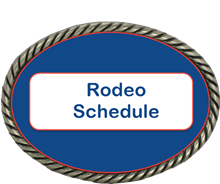 If there are multiple rodeos at one location, each rodeo will count as one release. Use of a release for one event shall count as one release even if you are still entered in other events. However, in this case, you would have already paid the $20 office charge. A contestant wishing to make a release from a rodeo must leave a message on the answering machine at 928-684-9566 for the rodeo secretary no later than three hours prior to the performance/slack. Q. WHAT HAPPENS TO MY PAYOFF CHECK IF I DON'T PICK IT UP? A. The rodeo secretaries mail the remaining checks to the National Office when they send in their results. We then mail out these checks to the address you have provided. If you want to receive your check sooner, please leave the rodeo secretary a self-addressed, stamped envelope and she will mail your check out. Q. HOW SOON DO THE RESULTS GET POSTED ON THE WEB SITE? A. The secretary mails the rodeo results to the National Office, which must be postmarked no later than 5 days after the rodeo(s). Once the National Office receives the results, they verify them to be correct, double checking timers' & judges' sheets, and then the official results will be posted on the web site. This process can take up to 3 weeks, although we strive to have them on the web site within 2 weeks after the end of the rodeo. Beginning in 2017, we will post "Unofficial Results" on the website within a couple of days after the end of the rodeo. During the summer months, when we have the majority of our rodeos, time frames may be a bit longer. Q. CAN I PAY THE FEES WITH A CANADIAN CHECK? A. No Canadian Checks will be accepted at the National Office or NSPRA rodeos due to the high bank charges.